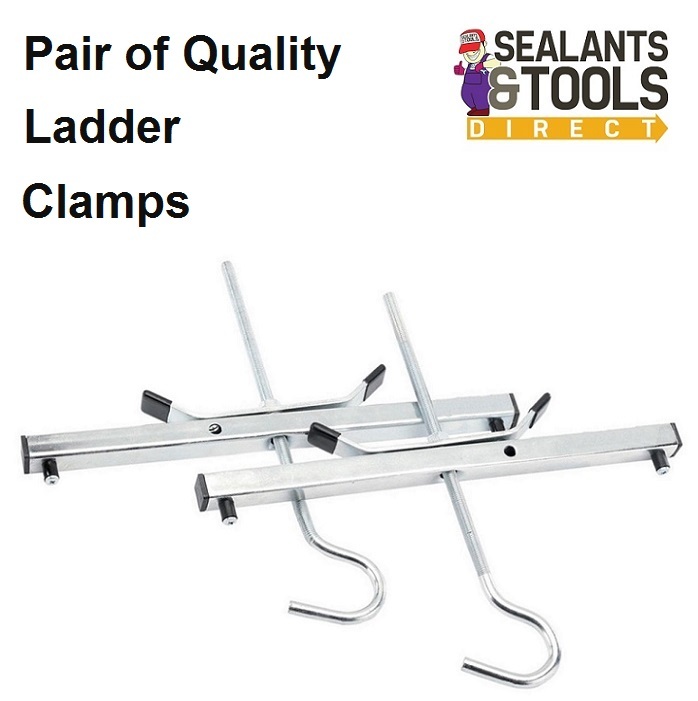 PTI Ladder Clamp and Locks used for the secure and safe mounting of up-to 3 ladders at a time to a Car or Van roof rack. Secure the ladders to the roof rack by simply placing the ladder hook through the ladder the hook goes under the cross member of the roof rack and spin the handles down onto the stiles of the ladder. Lock holes for additional security with the supplied locks. Quick and easy tool-free installation.